Gatlinburg sure does know how to eat. Around every corner you are likely to find a delicious meal, snack, treat or drink. Austin and I tried to weed them out and choose our very favorite foods in town! Read about a few of our absolute favorites below. The staff Is extremely attentive and friendly, you definitely pay for good service. Every time we go, we order the specialty, the crab stuffed mushrooms and crab cakes. They also serve pretty good herb bread before your meal. We unfortunately were too excited for the food and forgot to take pictures. 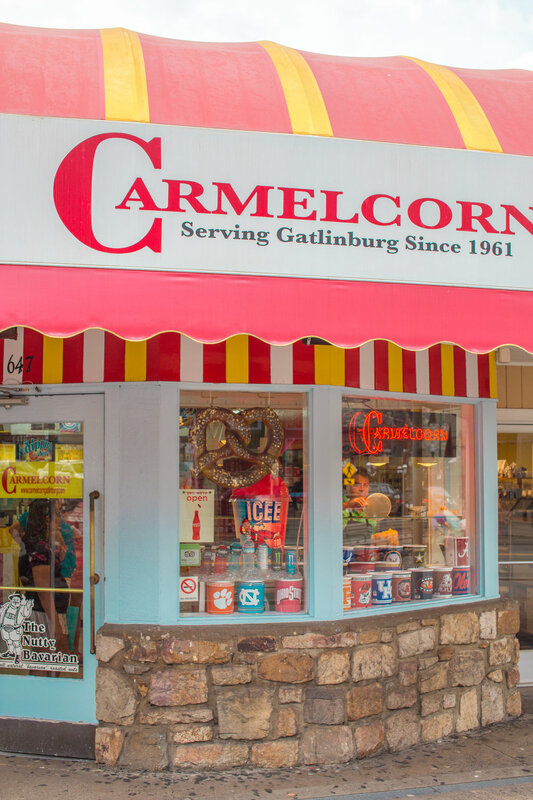 These melt-in-your-mouth yeast donuts are a must stop on your trip to Gatlinburg. Being the donut queen that I am, you know these are good if they are in my top 5! Wait until the light is on (the large neon sign out front) that way you can watch them be made/glazed and eat them fresh. Order more than you think you will need (Aus and I ordered a dozen for just us lol). Pro tip: download the app and they will send you alert when they are running fresh donuts. This is a hidden gem, literally hidden behind a gas station. It’s not a looker, but some of best Italian food I’ve had. The penne alle vodka was comparable to some I had downtown New York. Your meal comes with delicious handmade garlic knots. This sweet wine is likely to rock your world. Austin HATED wine before he tried this tasty nectar. 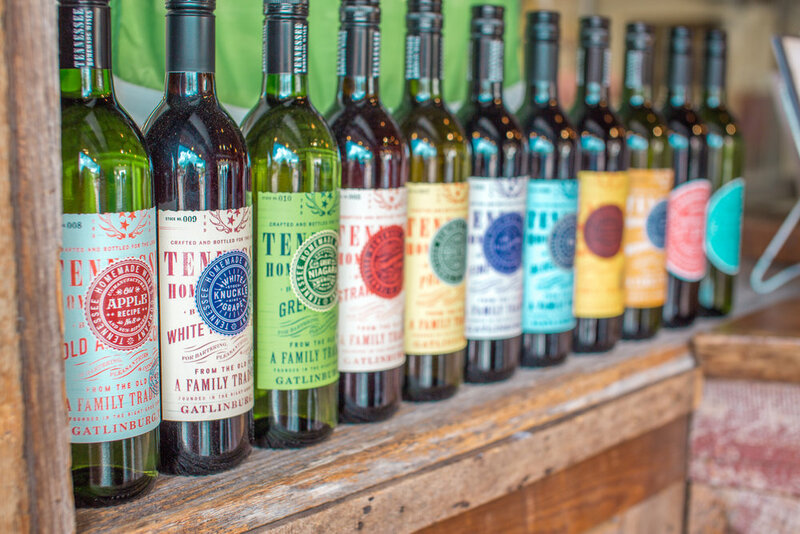 The peach and grape were my favorites and we plan to become members of their wine program. Some of the BEST cocktails I’ve had. I loved how you were able to see how they used their moonshines in drinks. Fav drinks: barrel aged cold brew w/ butter pecan sippin cream & strawberry sippin cream w/chocolate milk. 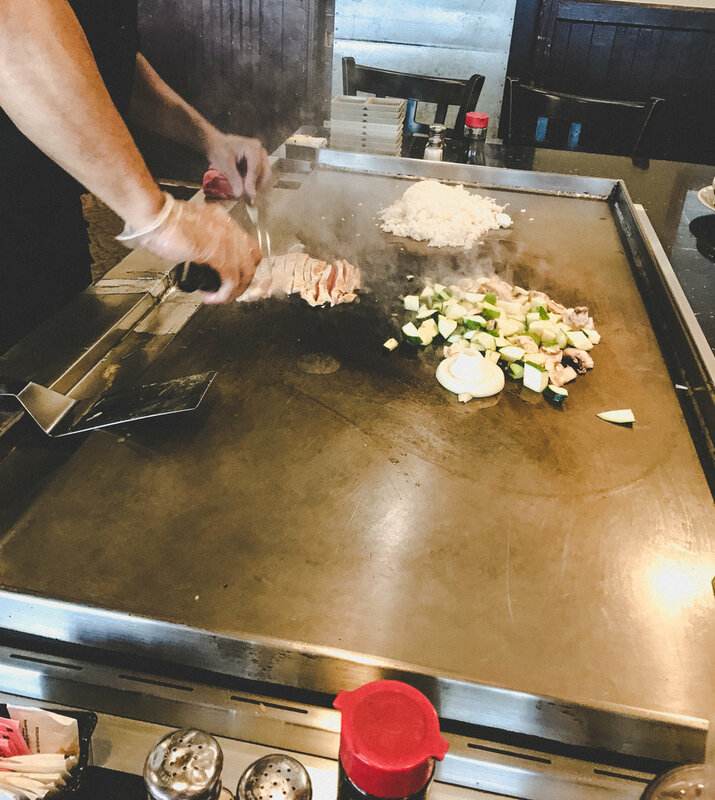 This hibachi restaurant is a bit of a hole in the wall, but the food & portions are amazing. We went for lunch and we ended up with a massive (and cheap) plate of food. Make sure to ask for yum-yum sauce, a very Americanized (but delicious) mayo/sriracha sauce. Classic Carmelcorn, almost as good as Garrett’s from Chicago. We get the half and half cheddar and Carmel corn. It’s the perfect salty and sweet concoction. There are TONS of breakfast places in town, but this is our top choice! They are known for their massive cinnamon rolls, thick pancakes and cool atmosphere. We also love how short of a walk it is from our cabin we stay at, Secret HIdeaway. 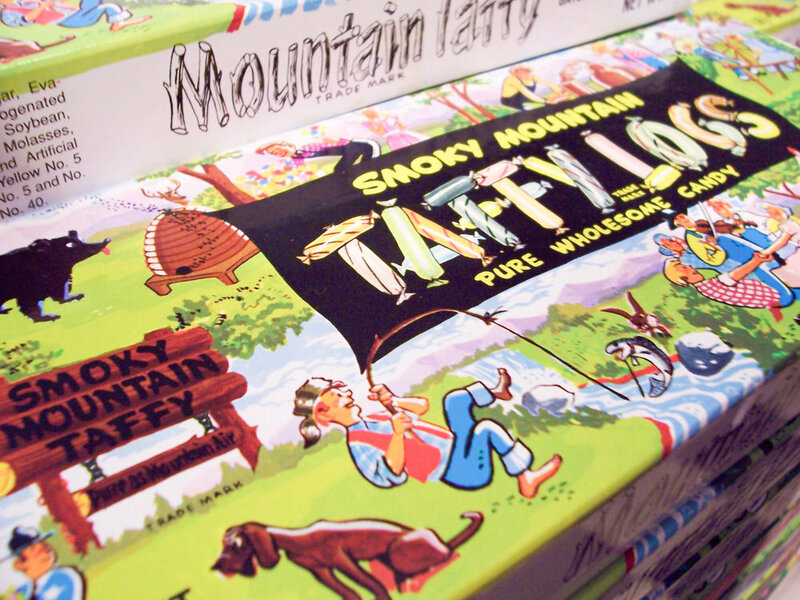 Come here for the best soft and fresh taffy you will ever have. It’s also so fun to watch them stretch and flavor it in store. We always order the classic vanilla and chocolate. We have yet to make it here but I had to mention it on this list because we’ve heard tons of other people talk about how amazing it is! I hope to visit next year and include photos on my blog. 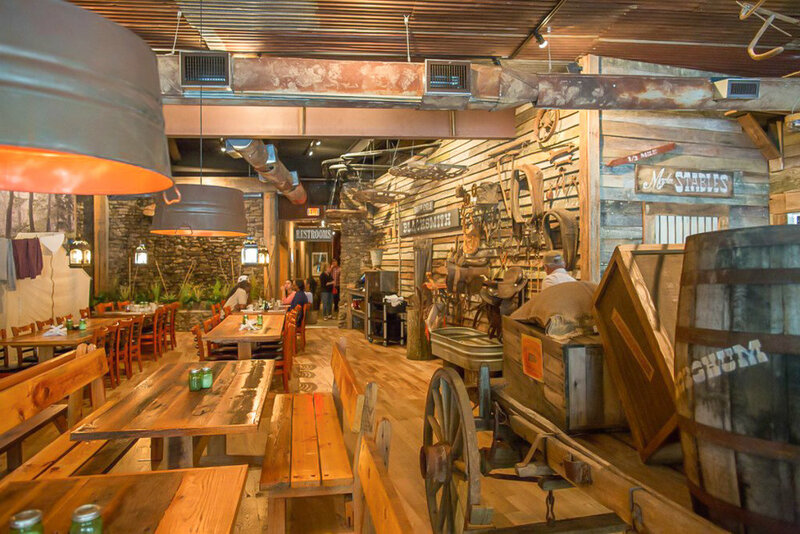 This funky art-filled chain pizzeria has delicious and creative stone-baked pizzas. After three years, we've tried as much food as possible, but we still haven't tried it all! 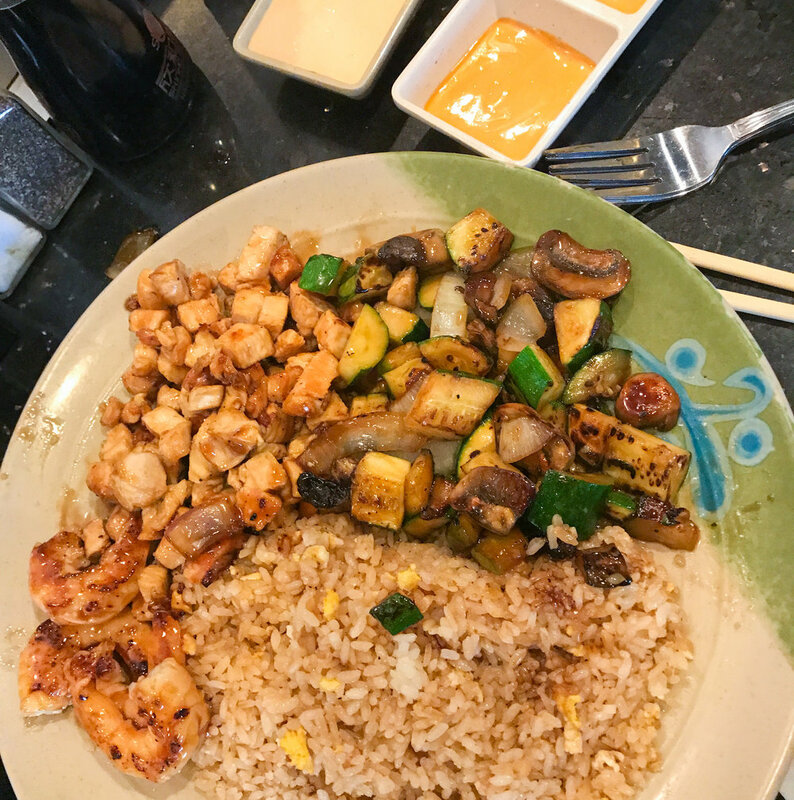 These are just our favorites but we plan to continue eating and adding to the blog. Do you think there is anything we missed?